After escaping from France, our community found temporary refuge first at Woolton, Liverpool, then at Salford Hall in Warwickshire. Dom Augustine Lawson of Downside Abbey, chaplain 1822-1830, did all he could to help in the search for a permanent home. As he lay dying in 1830, he asked that his bones should accompany the nuns wherever they settled. Eight years later when the community moved to Stanbrook, Worcester, Father Augustine's request was remembered. The men entrusted with the task of exhuming his body found to their surprise the coffin was intact. They lifted the lid and saw him lying there as if asleep, his habit and stole untouched by mildew. 'He looked so alive!' A scent of 'something like peppermint, sweet like peppermint plant, Ma'am', exuded from the body. 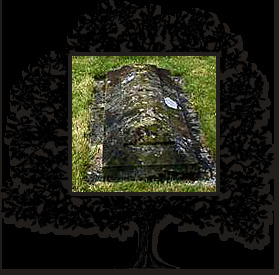 Father Augustine's body lies in the mortuary garden at Stanbrook, Worcester.